Giles Lury talks us through what inspired him in August, from the British Biscuit to moral dilemmas. A fighter pilot went against orders and shot down a plane that had been hijacked by a terrorist. The plane was carrying 164 passengers but was heading for a stadium of 70,000 people. Is the pilot guilty of murder? Lury was in the audience of a play called Terror in Hammersmith when he was asked to play jury to the morally perplexing dilemma and describes it as 'an interesting example of system 1 thinking in action'. Whether you enjoy them dunked in your cuppa or crushed as the base of your homemade cheesecake, it's without a doubt, McVitie’s digestives have truly stood the test of time. The iconic biscuits were originally advertised in 1892 as a cure for indigestion (from the ingredient sodium bicarbonate), and the original recipe is still used today. Lury says he'll 'dunk to that', adding that it 'brought back memories' from when he worked there and helped create the delicious Caramel Digestives 'way back in 1999'. When it comes to Netflix’s choice of original shows, there's been a lot of talk on the company's use of data. 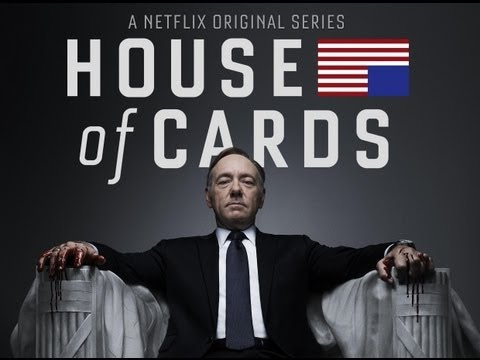 Lury was interested in why big data was held up as 'the key reason behind Netflix’s success with House of Cards' yet it 'didn’t seem to be consistently working with other Netflix productions such as Gypsy'. How certain is data versus creative judgment? Monty Python's Life of Brian is a British classic but rarely described as a source of inspiration. We can all be slaves to conformity in the workplace and at times we could do with standing up like the character Dennis and shouting back 'I'm not'. For those not into football, Tottenham's stadium, White Hart Lane, is under complete deconstruction after 118 years. Spurs’ new stadium will be the largest football club in London, holding 61,000 people. Lury was inspired when a client used the new ground as an 'example of maintaining the core whilst stimulating change'. They're keeping the good of the old ground - 'closeness to the pitch' - whilst introducing 'new elements' such as a micro-brewery serving 1,000,000 pints of craft beer per year. Inspiration provided by Giles Lury of The Value Engineers. Written by Orianna Rosa Royle, Digital Assistant at The Marketing Society. Email the content team if you'd like to feature in our 'Inspired Us' series.